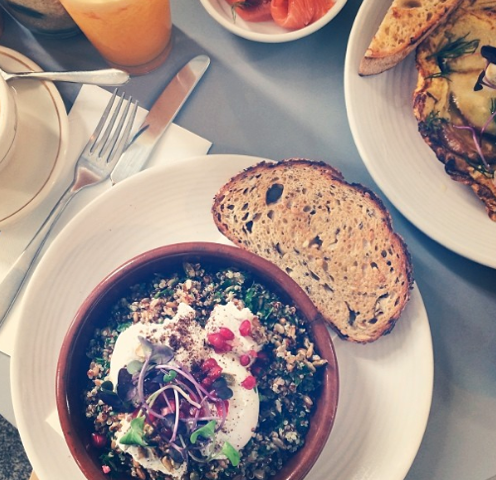 A comprehensive list of the best places to eat breakfast, lunch and dinner in Fitzroy North, including watering holes, vegetarian spots, bakeries and food trucks. Written by a local. Watching locals crowd into this tiny café would suggest that the residents of Fitzroy North aren’t the best at maths – there simply aren’t enough chairs for all of those bums. Once visitors look around the bright little space with its timber detailing and communal table, they retreat to the footpath outside the white corner shop and wait. 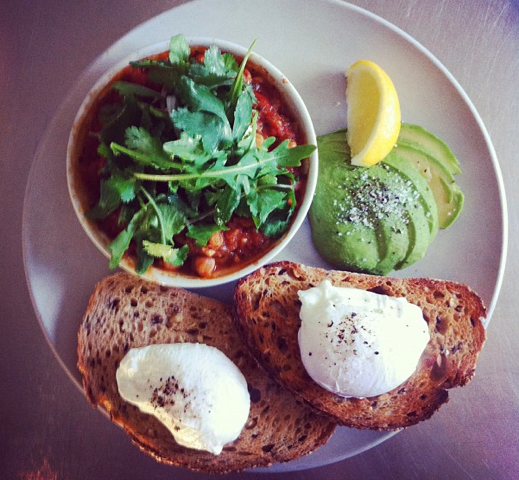 Perhaps it's the smooth, rich coffee that does it, or maybe it's the baked eggs. Then again, maybe the locals just know when they're onto a good thing and aren’t willing to compromise. It’s the finer details that are most impressive in this latest addition to Fitzroy North: a chunk of exposed brick here, a cluster of rainbow-wired light bulbs there. Coffee is Five Senses and breakfast choices range from the usual suspects to a Cloud Egg soufflé. Inside the cafe a cake cabinet clings to the astro-turfed staircase; outside there’s a takeaway window for easy access to coffee, or perhaps the signature pork belly paninis. 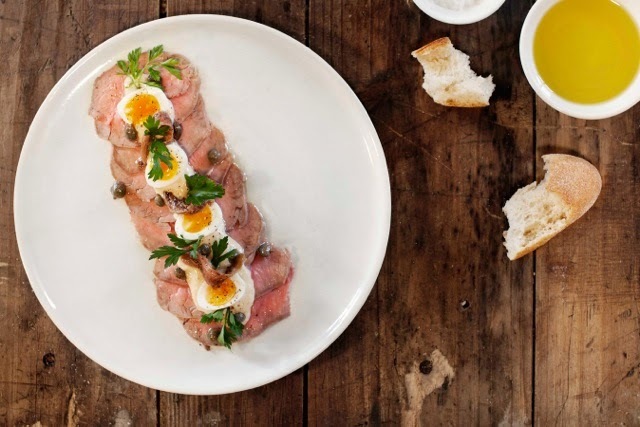 After just a couple of months trading, North Fitzroy Social has already become a favourite in the ‘hood. Two:Bob is perched on the border of Fitzroy North and Clifton Hill, but thankfully it falls into the former. The interior has a contemporary Scandinavian feel; bright, white and airy with pale timber finishes. Copper lights, arched windows and flower-adorned tables complete the package, while the menu lives up to its looks. Breakfasts such as corn and coriander fritters with avocado and feta smash are served until 3pm, but by then you'll be spoilt for choice with the addition of the lunch menu, ranging from simple sandwiches to fancy salads and gourmet burgers. It’s a blessing in disguise that the menu choice is limited at Moroccan Soup Bar. Pay either $20 or $25 per head depending on whether or not you want a couple of extra entrees and desserts, and be prepared for a vegetarian feast. That’s assuming you can get a table, of course. Locals know to be there just before the restaurant opens at 6pm, or to get a group of six together and make a booking. BYO Tupperware and you can take home the leftover Moroccan stews, traditional dips and the famous, garlicky chickpea bake that’s impossible to replicate (I’ve tried). 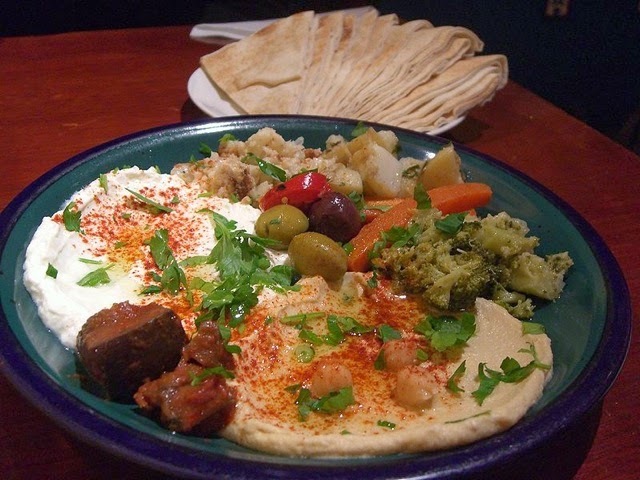 The chef at Munster Haus hails from Tofu Shop International in Richmond and there are similarities when it comes to the food offerings. Pay for a small, medium or large plate and then and pile it high with a mountain of vegetarian goodness and enjoy surrounded by a retro interior and hungry hipsters. According to their Facebook page, “Munster Haus will both arouse and fulfill most of your dietary and personal needs.” Surely that’s an offer you can’t refuse. Let’s Start in India with Horn Please. 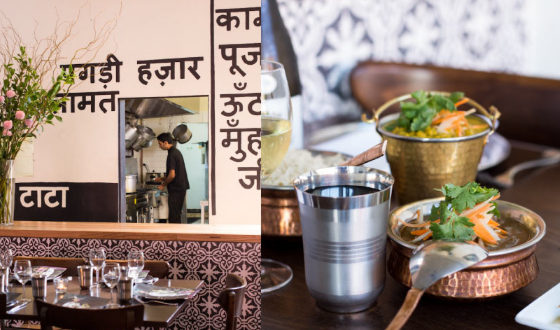 Their curries are full of flavour, minus the excess oiliness and creaminess found all too often in Indian food in Melbourne. Horn Please serves more than just curry, including the absolutely must-try papdi chaat, best likened to Indian nachos. 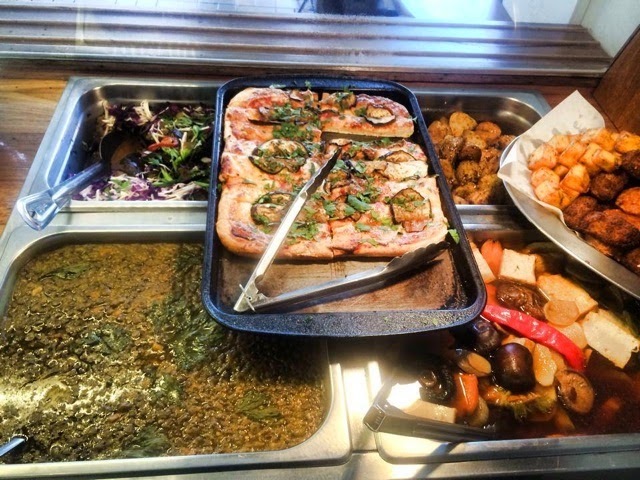 Everything is as fresh as can be, made with local ingredients and stone-ground spices. You can even help yourself to craft beer from the fridge. The dim lighting adds a romantic air, while the decorative tiles, colourful portraits and Bollywood films projected on the wall bring a splash of fun. Onwards to Mexico, where you’ll find shabby-chic El Chino bursting with colour and oozing delicious smells. Take your pick from seats out the front, in the courtyard, in the main drag or beside the kitchen and feast on Mexican street food. With a menu inspired by different Mexican regions and a chef called Alfonso, you know it’s going to be good. 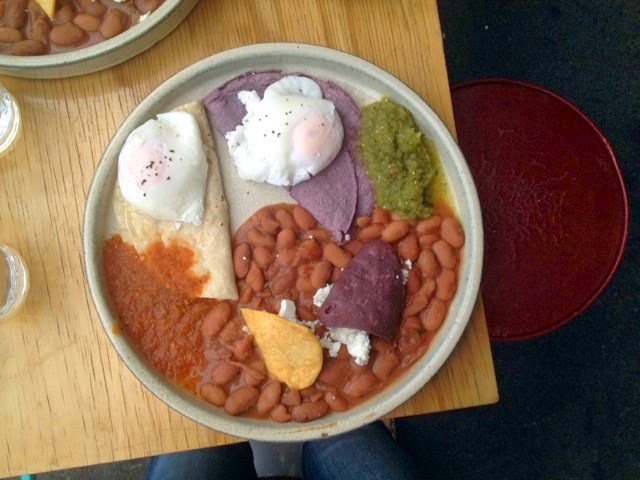 Swing by for breakfast and try the huevos divorciados with poached or sunny side up eggs, blue corn tortillas, organic beans, Danish feta, house salsa verde and salsa rona. A little Italian local with a whole lot of heart. That's the best way to describe Pinotta. 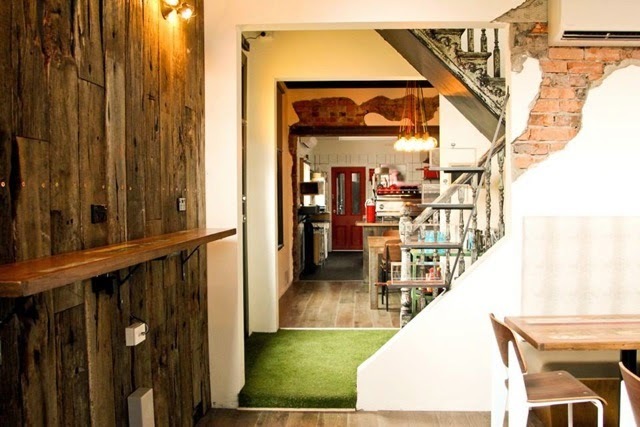 Think terrazzo floor, wooden ladder fastened to the ceiling and cosy vibe. The blackboard menu changes weekly, and could include anything from local zucchini flowers with ricotta and basil to crumbed lambs brains with tartare and watercress. Mains might feature whole baked baby snapper or goat on the bone with potatoes and peas. Food is simple, seasonal and delicious. Whatever you decide on, Pinotta has the wine list to back it up. 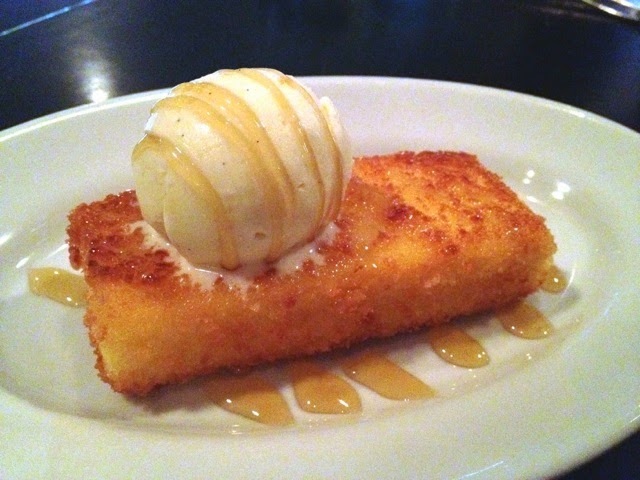 The most important thing you need to know about Italian local Supermaxi is this: whatever you do, order the deep-fried custard, a firm block of heaven encased in golden crumbs, drizzled with honey and paired with vanilla bean ice cream. It will be the highlight of your enjoyable evening. The Italian-speaking waitstaff, truffle-laden pizza, al dente pasta and specially-sourced vino won’t go astray, either. Come early with the pram like the locals or book from 7.30pm onwards and sit at the bar with someone special. 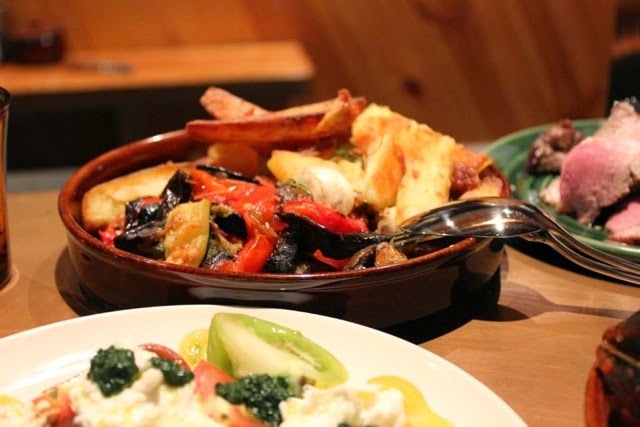 Chianti Bistro has been around since 1985, but it was only handed over to a team whose collective resume includes Mixed Business, MoVida and Grossi Florentio this year. The warm service and Italian slant continues, with the Chianti Classico five course menu ($70 per head) is a great way to taste a little bit of everything. Duck parfait crostini might whet your palate, followed by confit duck leg or orrichiette with pancetta, broccolini and anchovy crumbs. Dessert sticks to the theme with gelato, panna cotta and cannoli. How to sum up the Tramway Hotel? 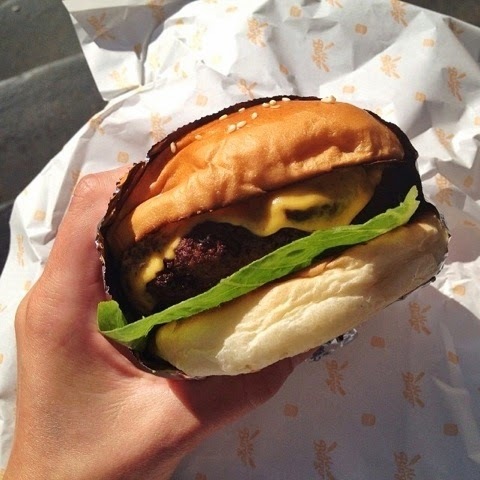 The words “award winning veggie and quinoa burgers” come to mind, as do “$12 burger Tuesdays”. There’s beer and cider galore, best enjoyed in front of the open fireplace during winter. It’s a cosy little local that packs out with regulars who can’t be bothered cooking or need a place from which they can easily stumble home. But back to those burgers: there's beef, chicken, quinoa and hummus, portobello mushroom, fish, kangaroo, pulled pork, lamb and haloumi, steak, beef and even a slow cooked BBQ beef special. If nothing else, you won’t be stuck for choice. Danny’s or Andrew’s. Andrew’s or Danny’s. 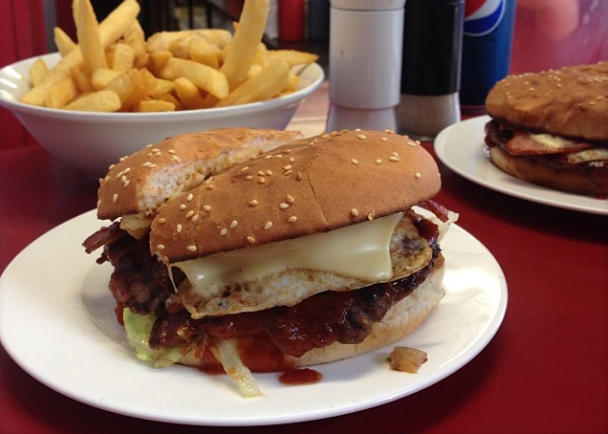 If you live north of the river, generally you’ll agree that Danny’s Burgers serves the best in Melbourne, better than their south-side rival Andrew’s Hamburgers. Danny’s is a trip back to the 1950s with its diner décor, menu board and red stool seating at the bar. It’s been open since 1955 and the cult following has only grown over the years. 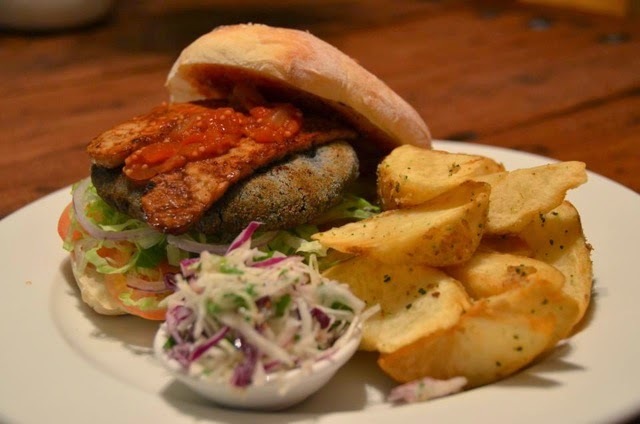 Assemble your own burger or steak sanga from the menu board, or take the easy option and ask for one with the lot. If you're feeling like a starved animal, the triple with the lot is the way to go. You'll find thirsty Fitzroy Northians at LongPlay. It’s part bar, part cinema, and has the looks to be cast as a film location. LongPlay is all linoleum, blond wood and chequered floor tiles with a European wine list, but it's the cocktails that keep people coming back. Food is of the snacky, tapas variety, but after a few espresso martinis you’ll forget the menu ever existed. There's even a tiny cinema out the back that screens classics and art house movies, but you'll have to sign up to the mailing list to be in the know. “Not your average local” is Deco’s slogan, and they more than live up to it. First come the drinks: a 100-strong wine list, over 30 beers, a sprinkling of cocktails and top shelf hard stuff. Next is the food, which is matched to the booze instead of the other way around. The menu pinches bits and pieces from neighbouring restaurants and currently features Italian dishes from Pinotta across the road. It’s a chilled-out, candle lit space with the kind of couches you can sink into for the night or intimate tables especially for two. When the weather is turning it on, the beer garden is the place to be. 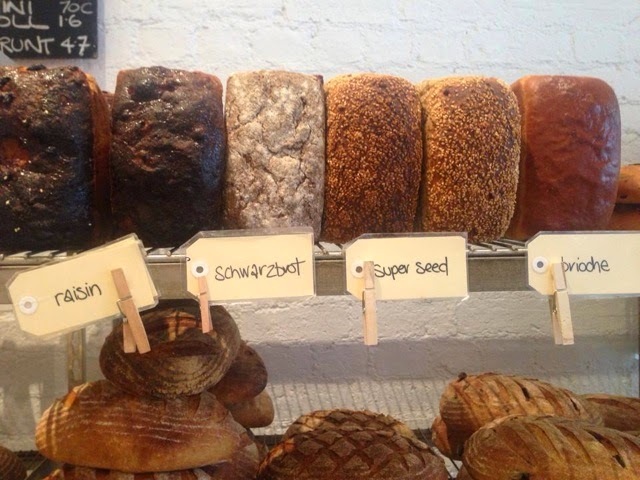 It may not be big, but Loafer Bakery punches well above its weight. The timber and glass display counter tempts with fresh pastries, doughnuts and sweet treats, while the organic bread is some of the best going around. For lunch there are beef pies, veggie pies and sausage rolls, as well as sourdough focaccias, soups and salads. Coffee is fairtrade and celiacs are catered for with wheat-free options. 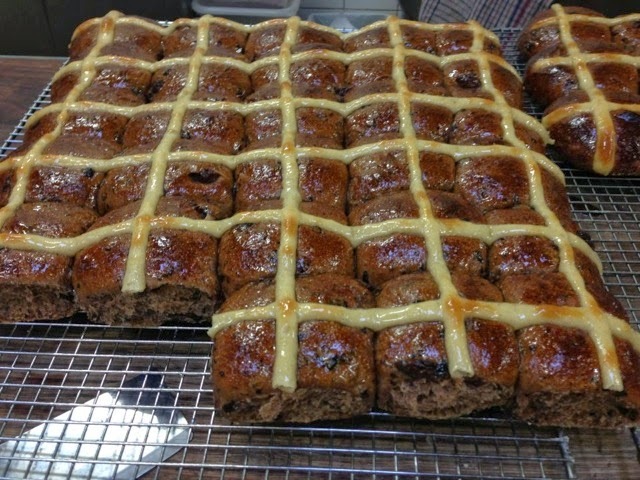 Be sure to pick up a loaf of the fruit bread on the weekend. Most of Melbourne is familiar with Dench’s famous organic sourdough loaf, but it’s the locals who cop the crowds come the weekend. The breakfast and lunch menus are as much of a draw card as the bread, particularly the specials that might include baked eggs with peppers, tomato, olives, whipped goat's cheese and herbs on sourdough for breakfast, or pan-fried gnocchi with pine mushrooms, bacon, peas and Parmesan for lunch. It only takes one meal at Dench to understand why it gets so busy. From the moment you walk into Matteo's there’s no doubt you’re in a fine dining establishment. The room is characterised by purple chairs, chandeliers and matching decorative wallpaper. 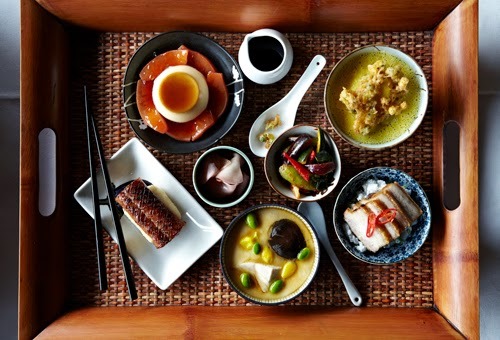 Although there’s a European feel, the menu tends towards the Orient with starters such as karaage Japanese-fried lamb sweetbreads and mains like Chinese-roasted, five-spiced duck breast. The tasting menu, made up of 10 small dishes over four courses, will set you back $110 without wine, or you could always opt for an express lunch – two courses with a glass of wine – for $44. It’s no secret that all the cool kids hang out at Ediburgh Gardens, which is probably why the food trucks set up shop there so often. 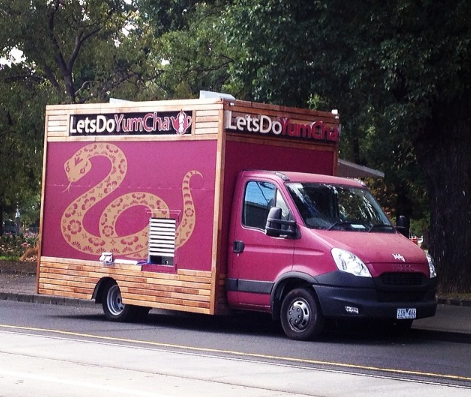 Almost every weekend you’ll find the Let’s Do Yum Cha Truck, Mr Burger and a green coffee combi van set up on St George’s Road, just past the Fitzroy Bowls Club heading away from the city. This post has been written to promote the launch of the Live North Facebook page with the help of Keep Left PR, who contributed a $70 gift card. Visit the page to find out how to win the Ultimate North Experience valued at over $4,000 (including a dining pass for two at Culter & Co. and Moon Under Water, a private cocktail masterclass for five people at Black Pearl, a 12 month membership to Yarra Leisure Centres and furniture from Great Dane). LOVE Moroccan Soup Bar! We've started doing takeaway so we don't have to lineup and wait!! Great idea! Might have to start doing the same when I can't be bothered cooking! 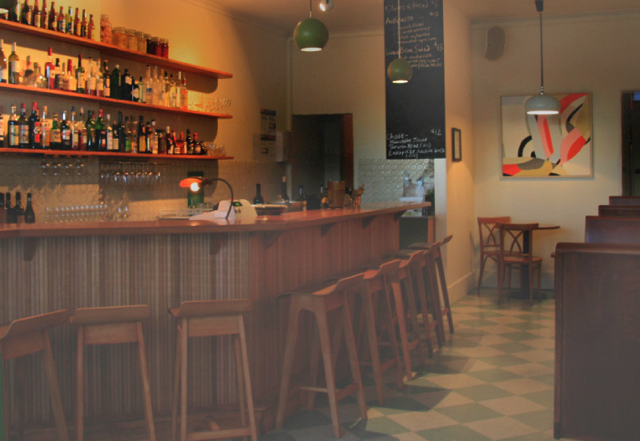 The Danny’s Burgers seems superb and the Deco Wine Bar is worth visiting. Can't wait to visit the Fitzroy North. Looking forward at it. Thanks a ton for sharing such wonderful information as whenever I visit a new place the very first thing on my must-haves list is good food. 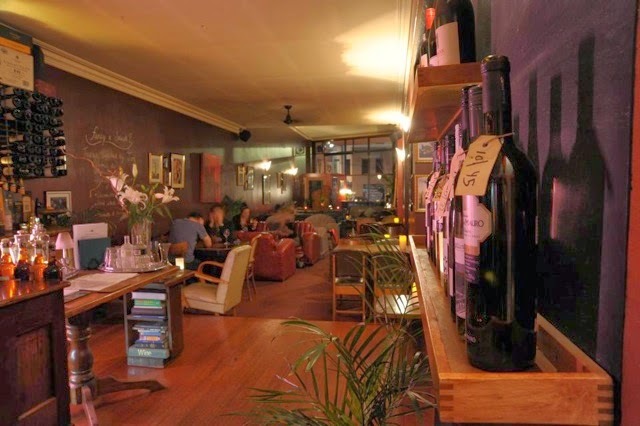 Just want to say thanks for the lovely review of Deco Wine Bar Poppet! a lovely chap named Mel owns Deco Wine Bar. Steve is obviously a prankster. I read your articles on a regular basis. All things to eat.